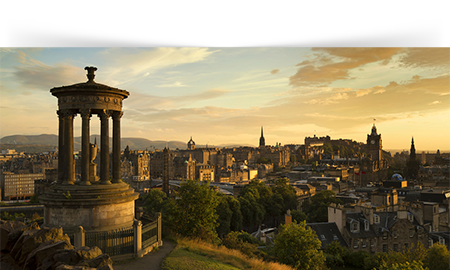 We invite you to EurOMA 2017 at Heriot-Watt University to engage with Operations Management that inspires, whether it inspires an industry or an organization, a leader or a worker, an OM teacher or a student. Our aim is to bring the International OM Community together to engage with OM at its most dynamic, creating wealth, creating benefits and creating opportunities. What does inspiring operations management look like on the shop floor, on-line or in a boardroom? How does theory contribute to inspiring OM? What are inspiring OM practices? How can OM teaching be inspiring? We seek contributions whether left or right brain informed, where exceptional OM goes hand in hand with positive, humanistic concepts like inclusivity, social welfare, equality, personal growth and fulfilment. Legacy OM models often include people only in terms of surveillance, command and control; we seek forward, future oriented models that draw on more diverse perspectives. Operations management as a force for inspiration, for creativity, encouragement, vision, inventiveness and occasional brilliance – operations management that creates positive change in people and practices. This conference theme challenges the OM community to engage with OM as maximising opportunities rather than minimising opportunism. We seek to celebrate OM as a source of inspiration and optimism.